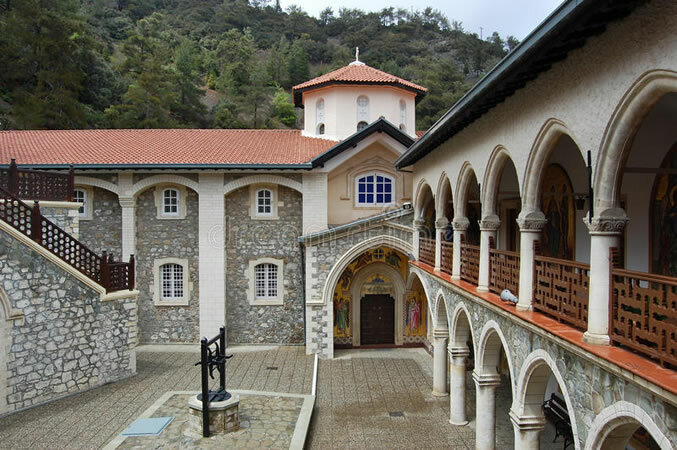 Our first stop on the way to the Troodos Mountains is at the 12th Century Chrysorriatissa Monastery. 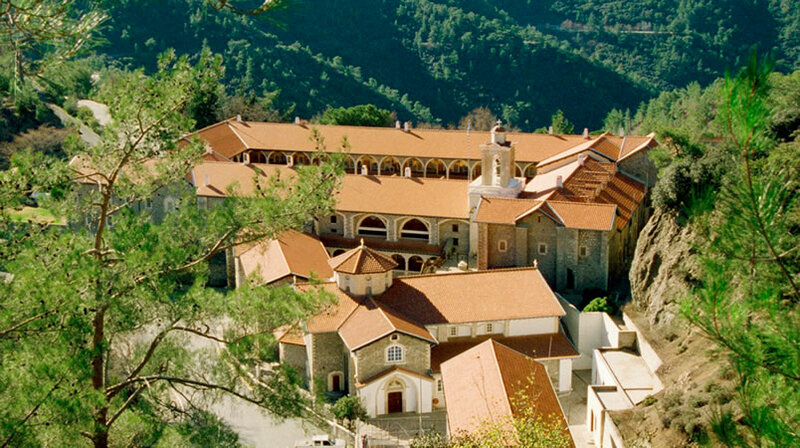 After a short visit we continue through the pine forests until we reach the renowned Kykkos Monastery. 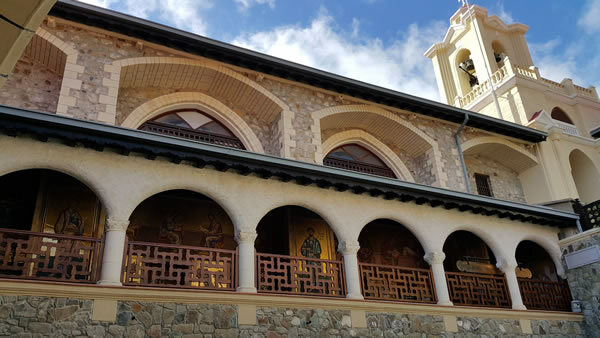 There will be time to look around followed by a stop at Archbishop Makarios’ tomb in Throni where you can enjoy the breathtaking views. 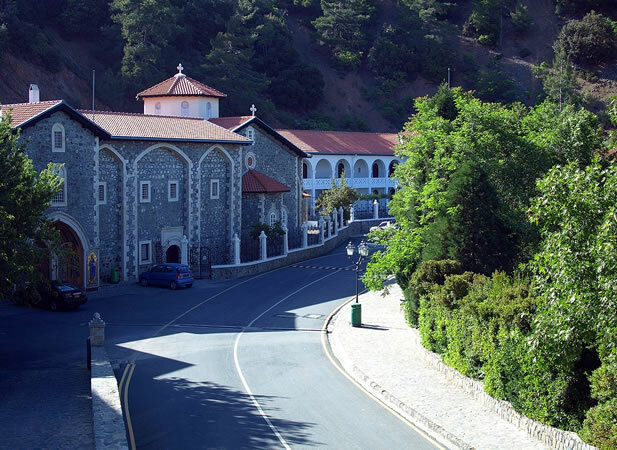 We drive on to Pedoulas village where there will be free time for lunch (not included). 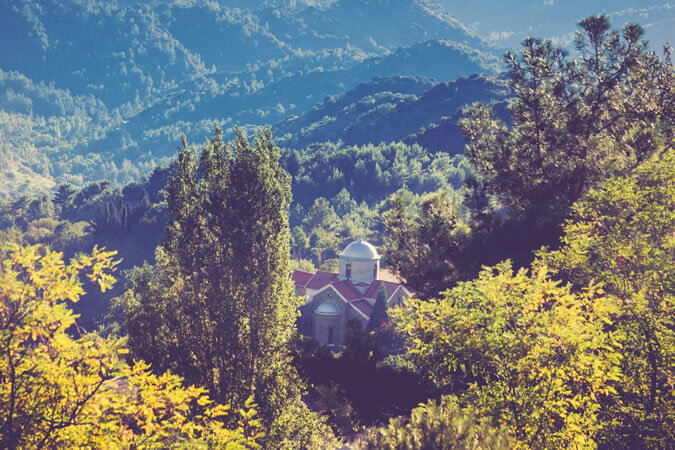 Finally we come to the beautiful village of Omodos and walk through the cobbled streets to reach the village square lined with cafes and shops selling wines, olive oil and other local products. 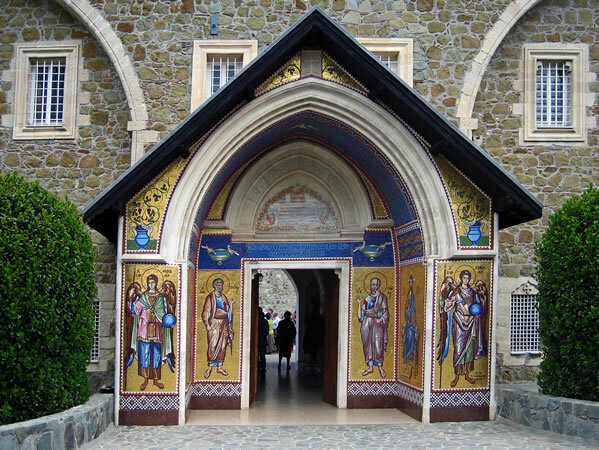 There will be time to visit the church of the Holy Cross and enjoy a coffee in the square.